Dr. Lisa Kellett, M.D., F.R.C.P. (C), D.A.B.D., is set apart by her unique approach to cosmetic enhancement and skin care by developing and supervising individualized, specialized treatment regimens for each patient in a way that puts even the most anxious patients at ease. These customized treatments combine the best of dermatological medicine with the latest laser technology advances to maximize results and minimize recovery time. The result is the best and newest laser skin care and injectable techniques, ensuring excellent results. 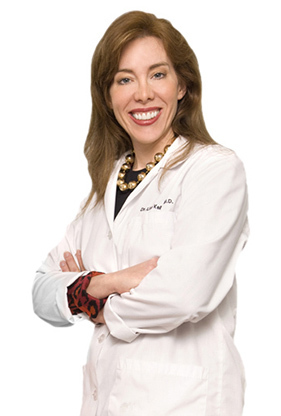 Dr. Lisa Kellett is a Fellow of the Royal College of Physicians of Canada, a Diplomat of the American Board of Dermatology, a member of the Canadian Dermatology Association, the Canadian Laser Aesthetic Surgery Society, and the Toronto Dermatological Society. A graduate of the University of Toronto’s Medical School, Dr. Lisa Kellett received training in Internal Medicine and specialized in Dermatology. Additional accreditations include Cutaneous Laser Surgery study at Harvard University. Dr. Lisa Kellett is in frequent demand by industry experts and the media to speak on the latest advancements in skin treatments. She has published scientific papers on skin care topics and acts as an expert on medical legal matters. Look for Dr. Lisa Kellett’s expert advice on television, and in many of Canada’s top magazines, newspapers and television documentaries. “Your skin is your most personal, precious possession. As seen in my happy patients, maintaining your skin at its optimal health and appearance will greatly contribute to your quality of life.” – Dermatologist, Dr. Lisa Kellett, M.D., F.R.C.P. (C), D.A.B.D. If you would like to schedule a personal consultation with Dr. Kellett please click here. Interests: Sports, outdoor recreation, books, skiing, hiking, snowboarding, rollerblading, waterskiing, mountain/road biking, gardening, interior decorating. Diana brings 25 years of experience as a registered nurse to DLK on Avenue. She has a diverse nursing background with a long association with cosmetic medical practices. Her skill, personalized approach to each individual and emphasis on natural looking results brings referrals from medical professionals and happy patients. 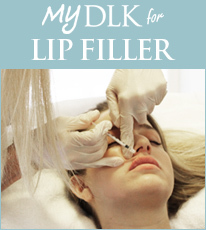 Diana specializes in Cosmetic Injections, Dermal Fillers, Sclerotherapy (leg vein treatments) and is fully trained in all aesthetic services offered at DLK on Avenue. If you would like to book a consultation with Diana please schedule an appointment by clicking here. Interests: Spending time with her children, reading, yoga, spinning, cottaging and traveling. Kati’s passion for cosmetic nursing keeps her on the forefront of training and industry trends. Kati utilizes a wide variety of skills to achieve a natural and rejuvenated appearance for her patients. Kati specializes in Cosmetic Injections and Dermal Fillers, and is fully trained in all the aesthetic services offered at DLK on Avenue. To schedule a consultation with Kati please click here. Helen is trained on all of DLK’s treatments and has over 20 years experience in Aesthetics, with specialized training in the medical aspects of skin care. To schedule a consultation with Helen please click here. Lindsay has over 6 years of experience in Skincare and ensures her patients feel amazing in their own skin and achieve the goals they desire. To schedule a consultation with Lindsay please click here. Interests: Art & design, antique shopping, travelling, camping, and latest skin care products. Sarah has a lifelong passion for skin care and medical aesthetics which helps her in achieving a personalized skin regimen for her patients which ultimately leads to improved confidence and having a positive results. To schedule a consultation with Sarah please click here. With over 12 years of experience in Aesthetics, Yoonmi takes great pride in ensuring that all patients of DLK are utmostly satisfied with the skin they are in. To schedule a consultation with Yoonmi please click here. With a Diploma in Advanced Aesthetics and over 10 years of client service and management experience in a broad range of industries including aesthetics, Franki brings a wealth of skin care knowledge to the DLK team. Over 8 years of experience in customer service and a Diploma in Office Administration – Medical. I enjoy working in a fast past environment. I find it to be very rewarding to be part of a person’s experience by helping with concerns or questions in a fun and friendly environment. Artie has a background in Early Childhood Education and loves to work with children. She has a diverse background in customer service spanning nearly 10 years which allows her to assist patients with their individual needs. With a marketing education and background, Reema continued her education focusing on medical administration and aesthetics. Reema is a valued member of our team and prides herself on delivering the best experience for our patients from start to finish. With over 10 years of experience in the cosmetics industry, specializing in patient and employee relations and project management, Karen’s goal is to ensure that the DLK patient experience exceeds expectations and that DLK continues to be recognized as Canada’s Premiere Dermatology clinic. With a varied professional background in marketing, business and customer service, George ensures that DLK on Avenue remains an industry leader and most importantly that our patients experience is a reflection of Dr. Kellett’s vision for individualized patient care.